Part 1 of this guide looked at the fundamental decisions to be made when looking for a warehouse. There are a huge variety of factors that are relevant when choosing the right warehouse and they all play a part in the overall success of your supply chain. In this section, we examine the relevance of each of these factors when searching for warehousing space. What are the important considerations when looking for a warehouse? 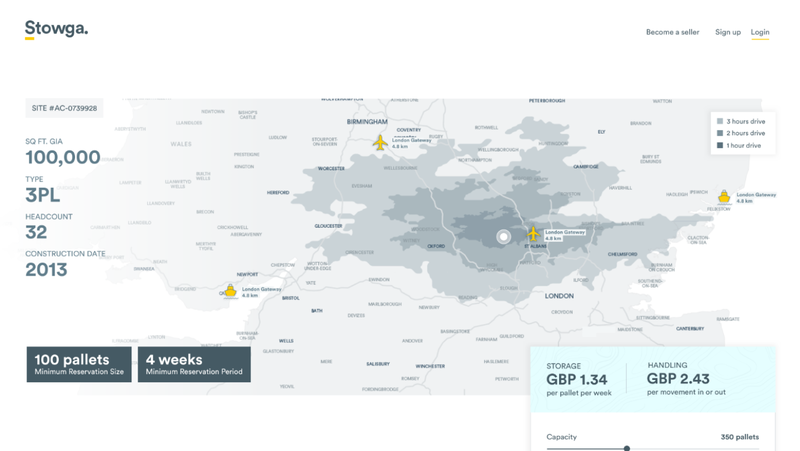 Location - The location of the warehouse is often the primary consideration, as being close to your suppliers and customers can significantly impact transport costs. 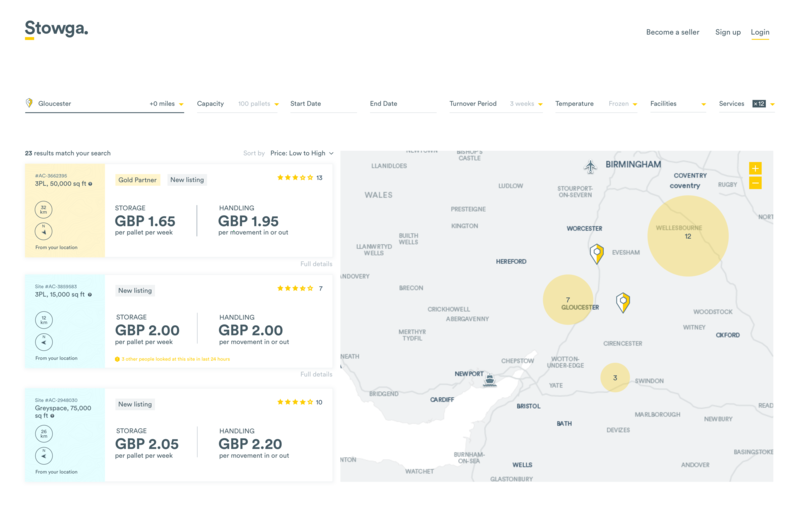 Pricing differs significantly depending on location, so often the closest site is not necessarily the most cost-effective option. If you've decided to run your own site then you should also consider the population demographics of the area because you'll need to hire staff to run the warehouse. Capacity - Capacity that is available within the warehouse differs significantly depending on the scale of the operation. Some of the larger 3PL's will have a lot of space for your business to scale into whereas the smaller 3PL's may have less scope to grow but provide a more personal and bespoke service. Timing - Both demand and supply of warehousing space and services are very seasonal and the big "retail peak" tends to be between October and December each year, where there is huge demand for excess short-term excess capacity. Generally, pricing is better on long-term contracts vs short-term, as warehouses have more certainty of revenue. Turnover - This looks at how quickly your inventory moves through the warehouse and measures the throughput of the stock in the warehouse. This is especially important for fulfilment sites, that specialise in moving goods quickly in and out of the warehouse with a focus on value-add services, rather than just providing space. Conversely, some warehouses, especially "Grey space" providers, aren't willing to dedicate resources to provide additional services and prefer to offer just static space and therefore should be favoured when looking for low turnover inventory. Temperature Control - There is a premium cost to any temperature controlled warehousing and it is primarily used by the food and drink industry. Generally chilled and frozen storage can be 25–100% more expensive than a site with no temperature control but it varies from site to site. Some warehouses also offer the ability to control the temperature within an ambient range which is appropriate for inventory that is damaged by hot or cold temperatures. Storage Capabilities: Bulk Powder, Bulk Liquid, Hazardous Chemicals, Hazardous Other, High Value, LME, Bonded Wet, Bonded Dry, Container, Outdoor. Some of these may be particularly important for the specific product being stored so it's important to use these filters when narrowing down the initial list of warehouses. 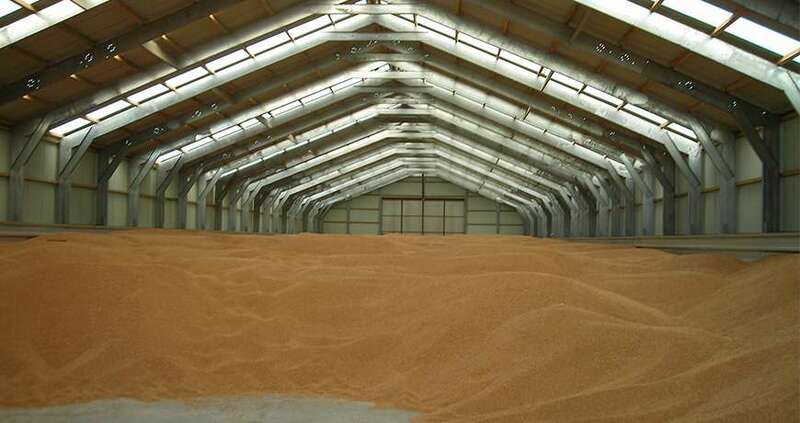 For certain commodity products, such as grain, bulk storage may be required. Certain food products products require a specifically accredited warehouse to store and handle their product - e.g. Organic food that must be handled by warehouses that have a specific organic accreditation. Services - There a range of other services you may need from a warehouse partner and many of these are related to fulfilment which is discussed in greater detail in section 3 of this guide. 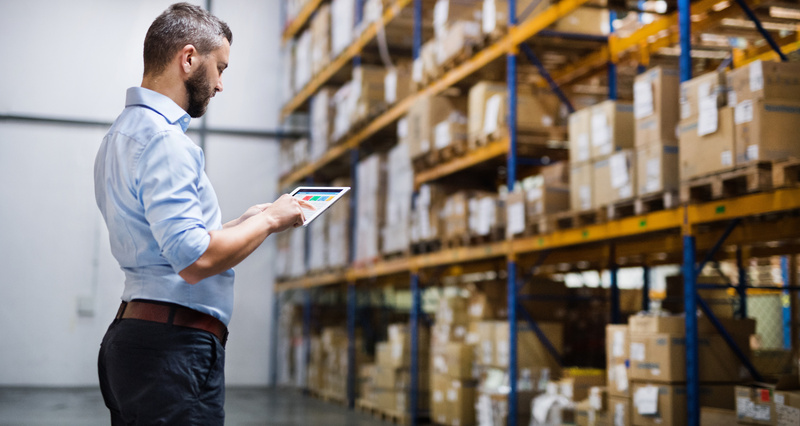 How can you assess whether this is the right warehouse for your business? When choosing a warehouse it's very important to understand the quality of service provided, level of technology in the warehouse and reliability of service. This is difficult to evaluate pre-transaction as you've never worked with them, but other businesses have. You can review previous customers testimonials to give you an idea of the site's different areas of expertise. 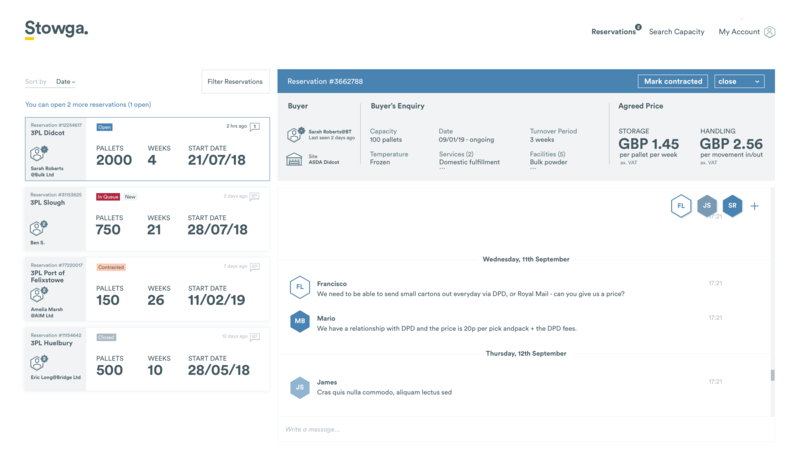 You can also use the chat interface with the warehouse to detail your precise requirements, clarify any points, request additional services or arrange a site visit to see the site yourself.